Tangled Tuesday! I was excited to get hooked up with Amy from Major Speech Pathology Fun by a Minor Girl for her Tangled Tuesday feature on her blog. 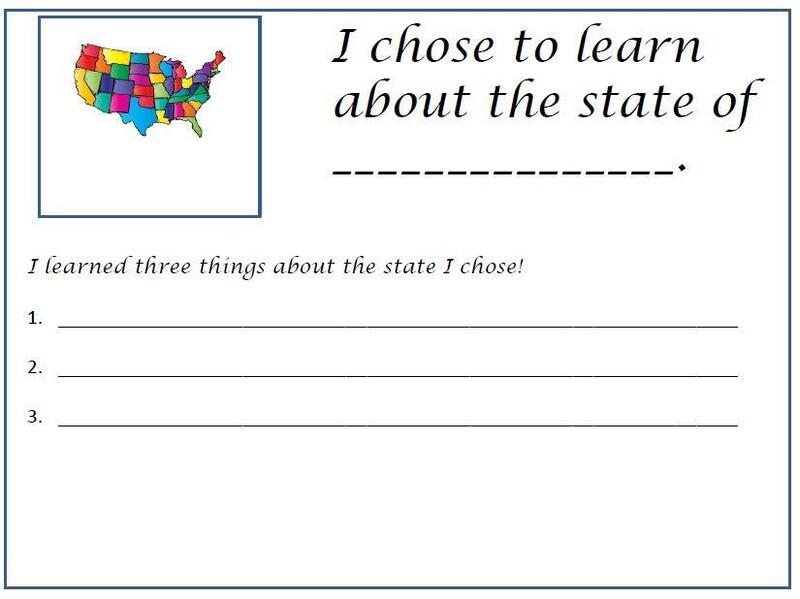 I always love her materials, so I was excited when she offered up her United States Listening Comprehension/ Reading Comprehension Activity for the swap. Here are some samples of what you will find in this awesome packet! All of the cards can be used for either listening or reading comprehension. 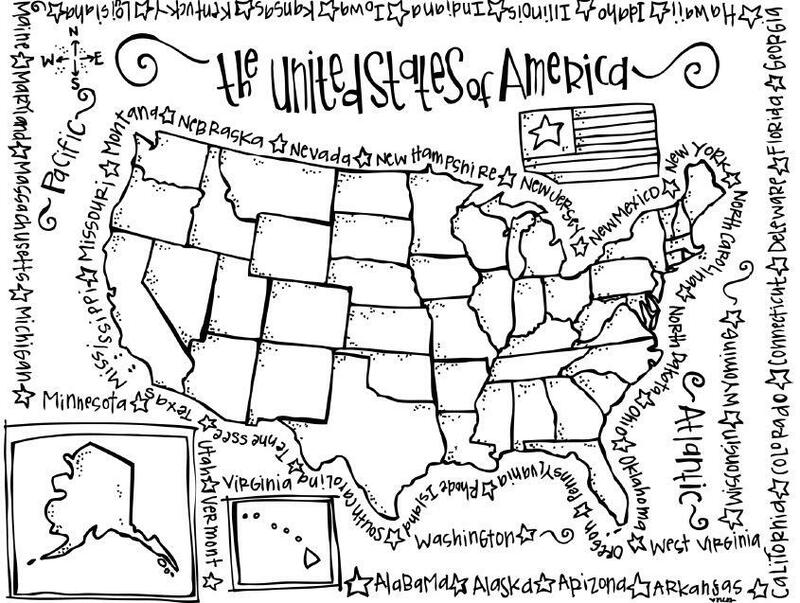 There is a black and white map that students can color in. 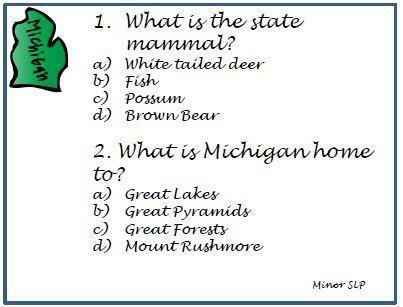 You can use this with the question cards. 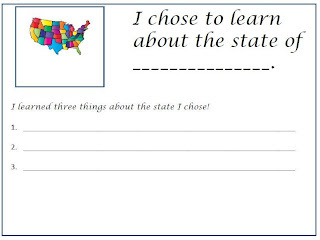 Students are each asked a question from the card. If they get the answer correct, they can color in that state on the map. 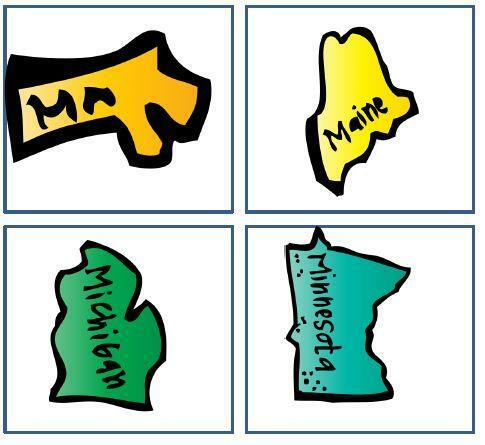 The student at the end that has the most states colored in is the winner! 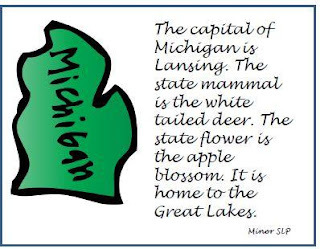 Also included in this packet are state cards with no information, just the state shape and name. These are great for a memory game. 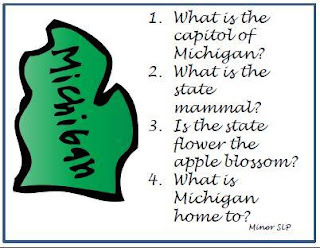 There is a worksheet that asks students to extract information from the text. 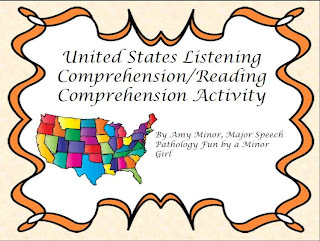 I used these activities with some of my 5th graders who are working on listening comprehension. We used the cards and kept track of the states on the map. 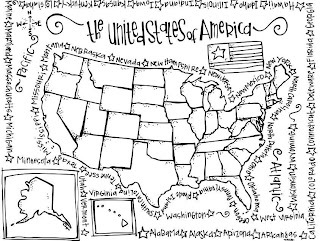 The students LOVED finding the states and coloring them in. We also worked on the writing worksheet. I was impressed with what they remembered! 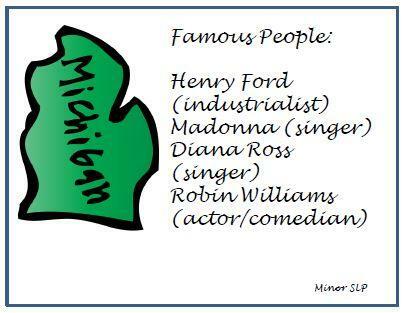 I had fun reviewing this activity. Thank you to Amy for swapping with me this week! This activity can be found at her TpT store HERE. Please go over to her blog to check out her review of my inference activity HERE. You can also follow her on Facebook HERE.